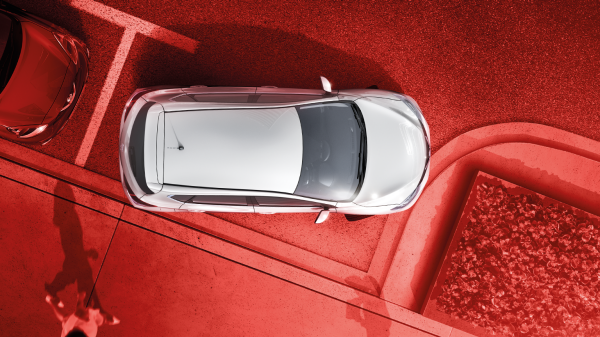 As good for the commute as it is for the weekend, the Pulsar gives you room to spare. 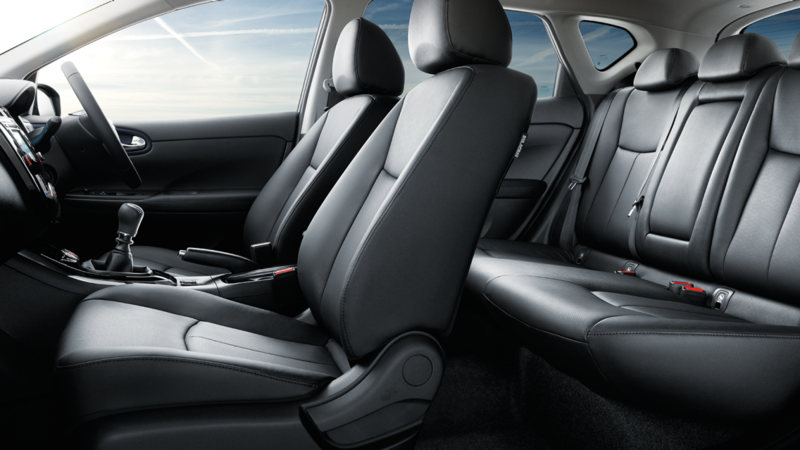 When it comes to having the space to stretch your legs, the Nissan Pulsar has the best rear leg room in the family hatchback class. 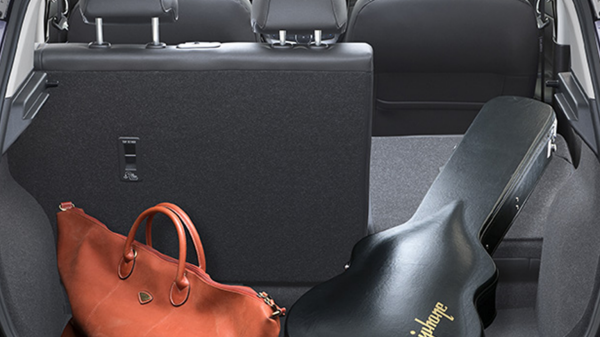 Need to transport your growing family without being cramped or resorting to a much larger car? 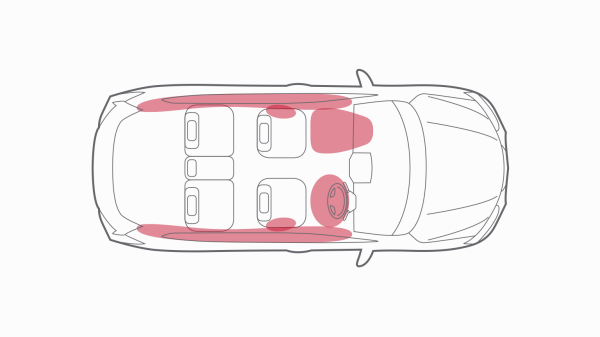 The Pulsar will easily accommodate even the bulkiest child seat when you need it to. 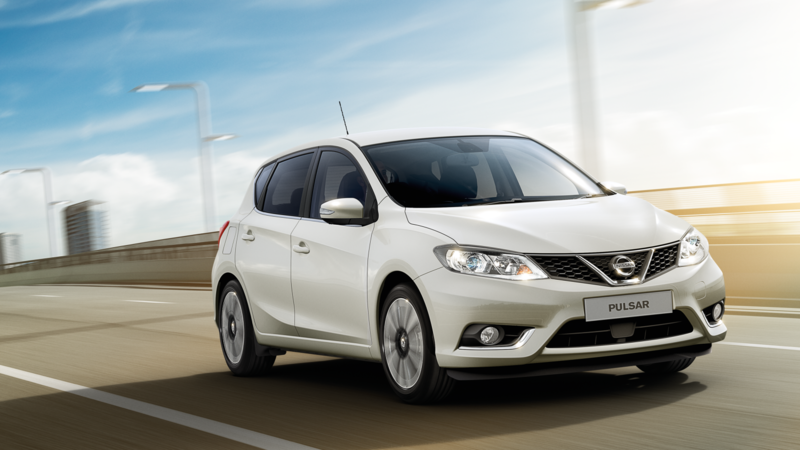 You'll want to spend plenty of time in the sleek and comfortable Pulsar – and so will your friends. We've invested our efforts into making Pulsar a great place to be with soft-touch materials and stylish details throughout. We wrote the book. Now you get to design the cover. 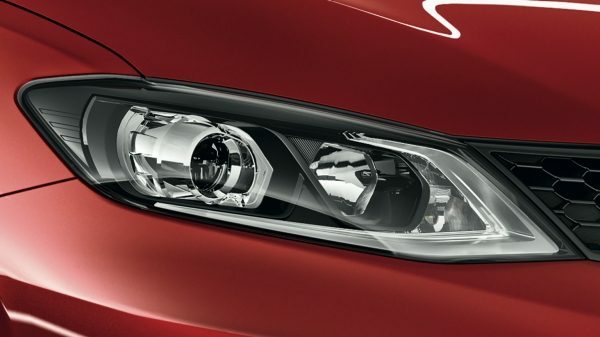 You can make your family car even more special by choosing from a selection of coloured or chrome finishers and our range of smart Pulsar accessories. Your Pulsar. Your choices. 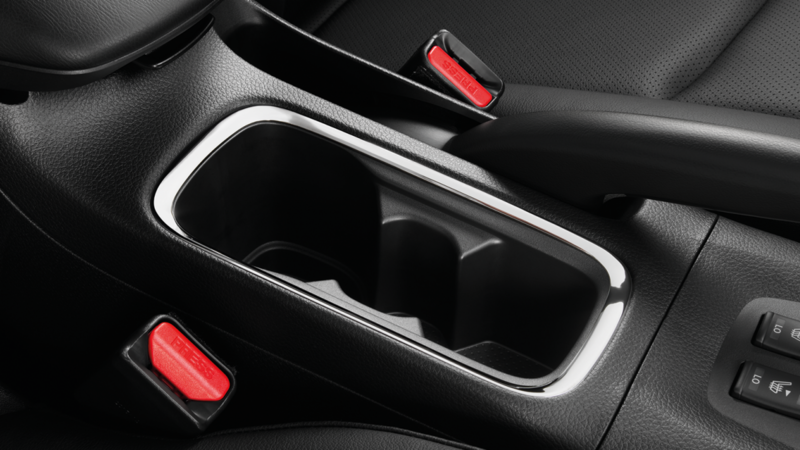 Select from a host of designer details to personalise your car. Make it your own by picking your favourite colour and style from our range of 17" or 18" alloy wheels and then dress up the exterior with coordinated trim details. 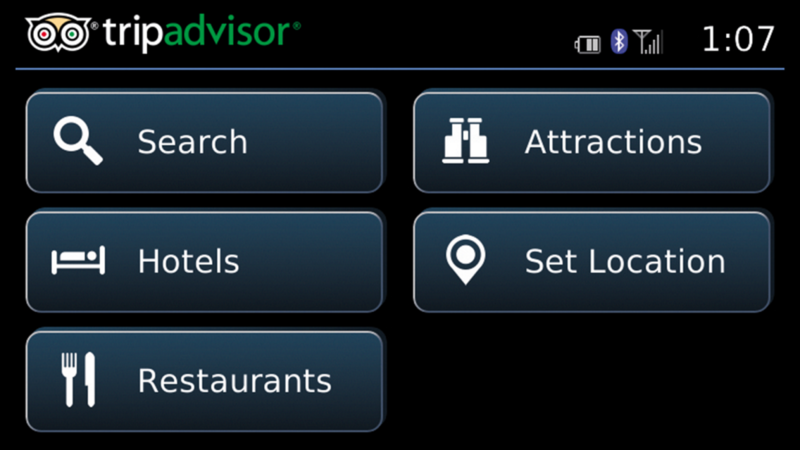 You'll find parking a stress-free and easy experience using Around View Monitor. 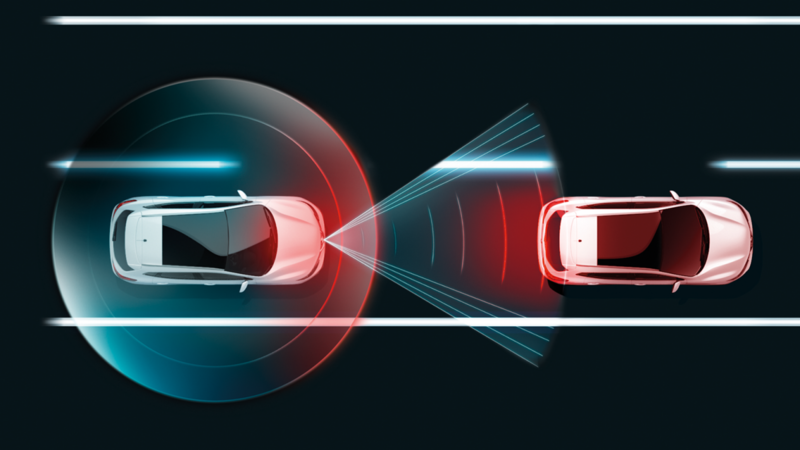 The system builds up an image of everything around you using four cleverly concealed cameras, displaying the aerial view on your dashboard. 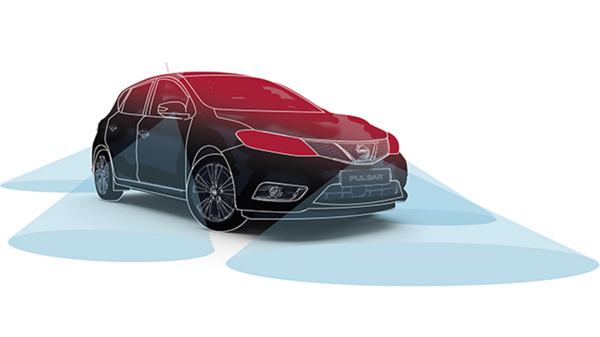 With some clever software monitoring what the cameras see, the Pulsar will even alert you about the things you didn't spot. 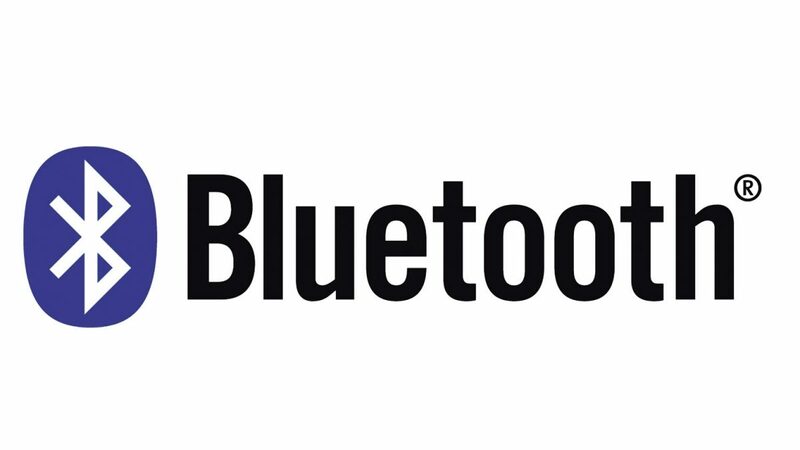 Bluetooth Audio comes as standard. 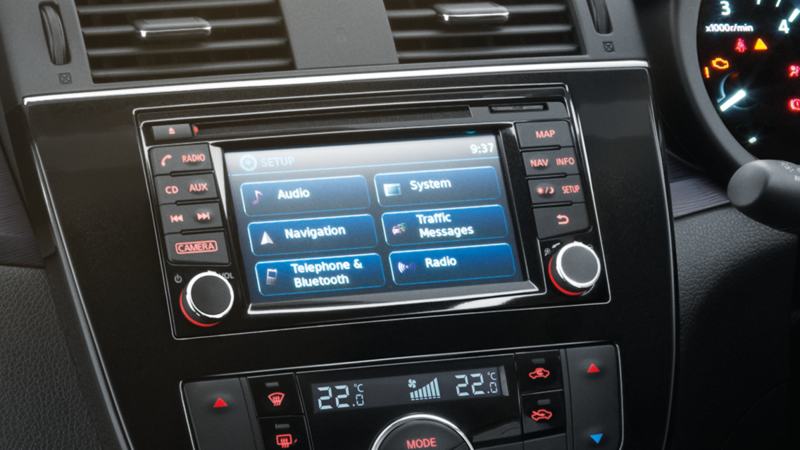 That means you can enjoy DAB radio, internet radio or stream music from your mobile phone. 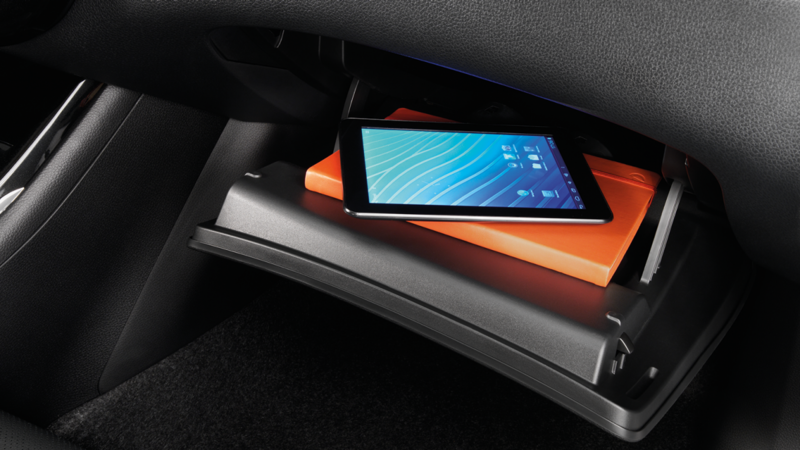 All without cluttering your car with cords and cables. Make yourself available – or not. 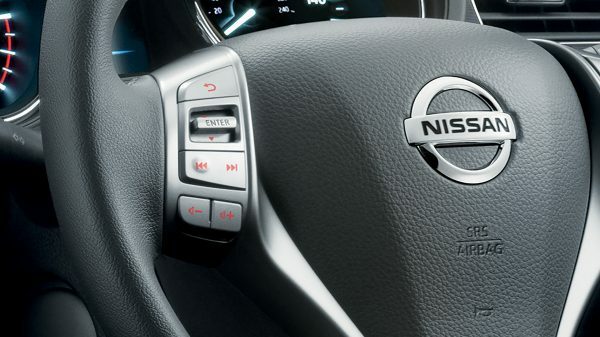 Nissan's Caller ID will let you know who's calling. 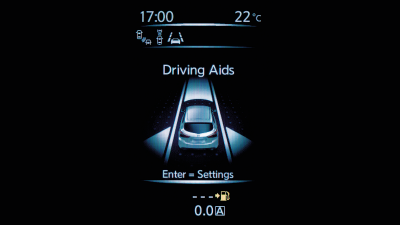 You can control the various Nissan Safety Shield Technologies and whether or not you want them activated through the on-screen menu. 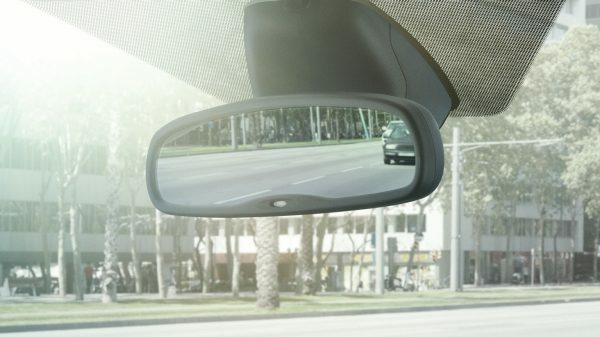 Never miss a direction or waste travel time thanks to clear turn-by-turn alerts. 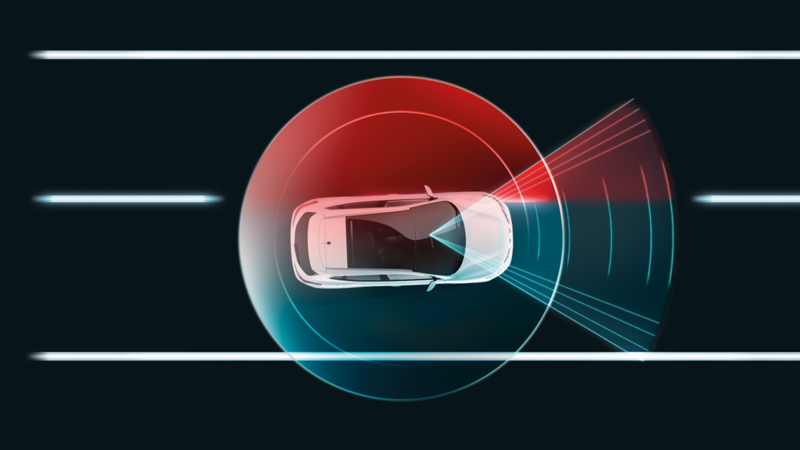 You’ll get an audible and visual warning for where and when to make the next turn. 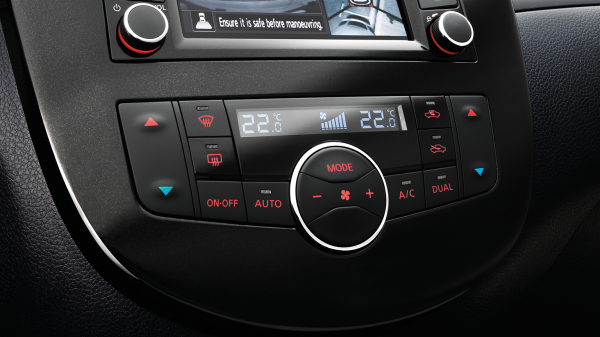 The Pulsar hatchback even lets you customise the colour of the car graphic shown on the touchscreen display. 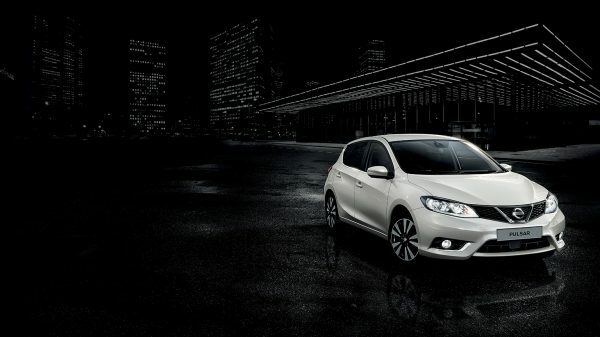 With six air bags, the Nissan Pulsar is a family car that is ready for the unexpected. 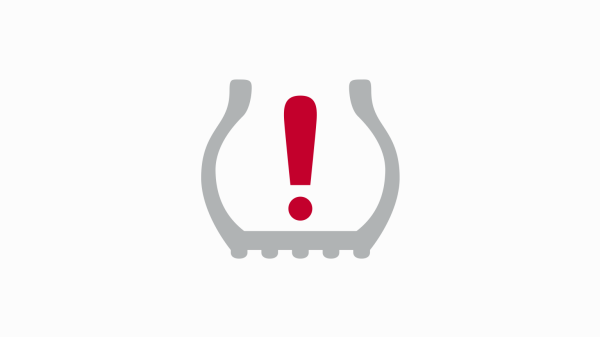 In an impact from the side, front or rear, passenger injuries are reduced when air bags are used in conjuction with seatbelts. 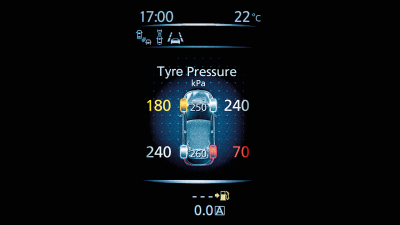 Safety, stability and efficiency all depend on correct tyre pressures. 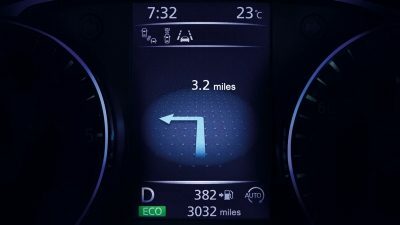 If the Tyre Pressure Monitoring System detects a loss of air, it alerts you so you’ll never drive on anything less than properly inflated tyres. 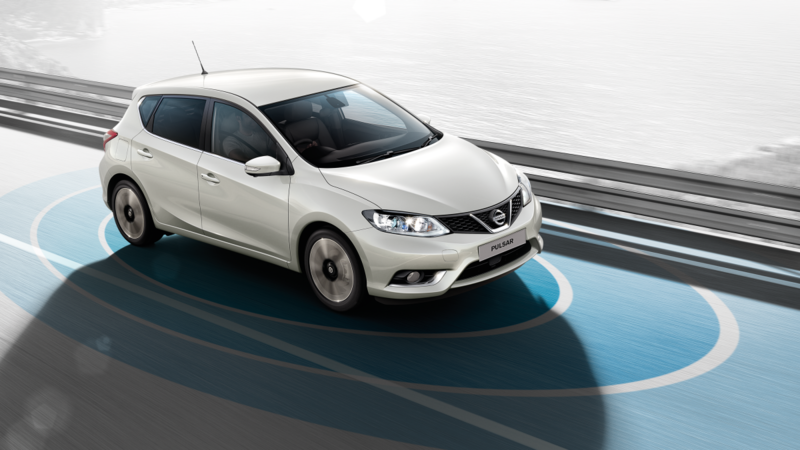 Peace of mind comes as standard thanks to the Pulsar's top-ranking five-star Euro NCAP safety rating. 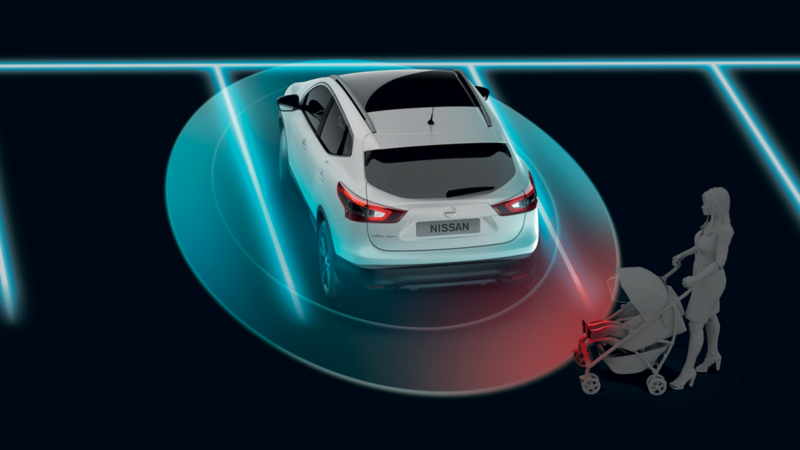 Easily accessible ISOfix points make adding or removing a child seat quick and easy without any need for awkward contortions. 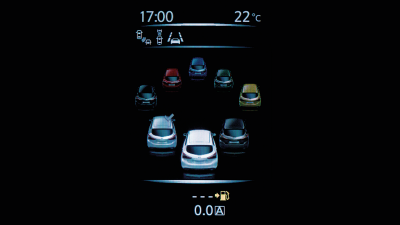 Save fuel and time by avoiding traffic jams. 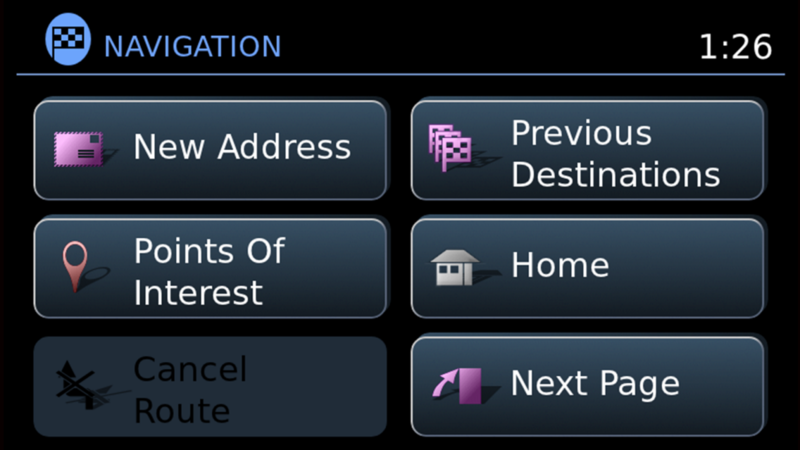 The Pulsar's advanced sat nav system will warn you of delays and offer a faster route if one is available. 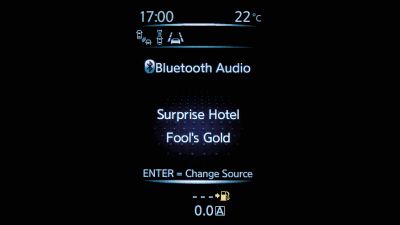 With your iPod connected to the Pulsar's USB port, you can select your favourite music using the car's large, easy-to-read touchscreen. 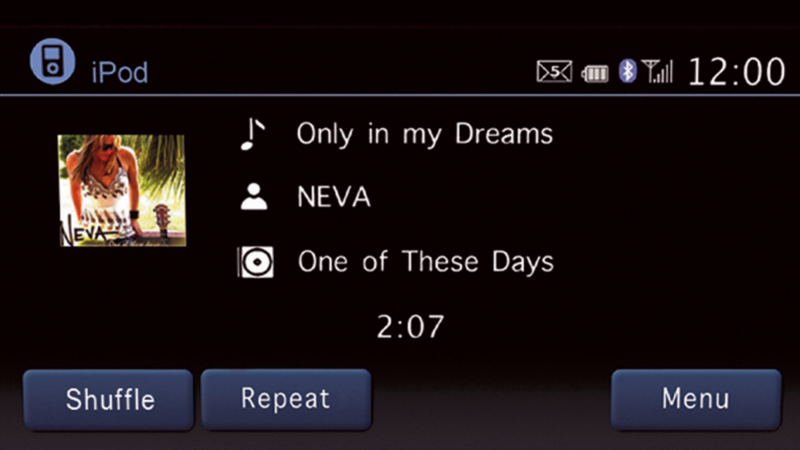 Or simply stream your audio using Bluetooth for an un-plugged experience. 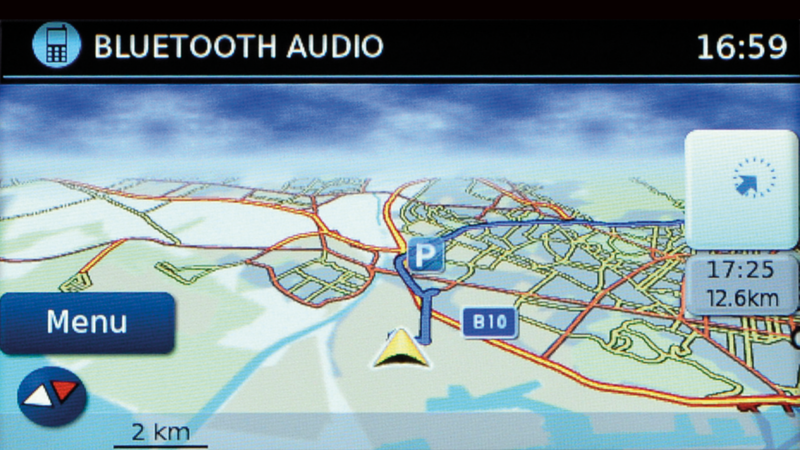 Positioned high up on the centre console so you never have to move your eyes far from the road ahead, the Pulsar's screen is easy to read and simple to use. 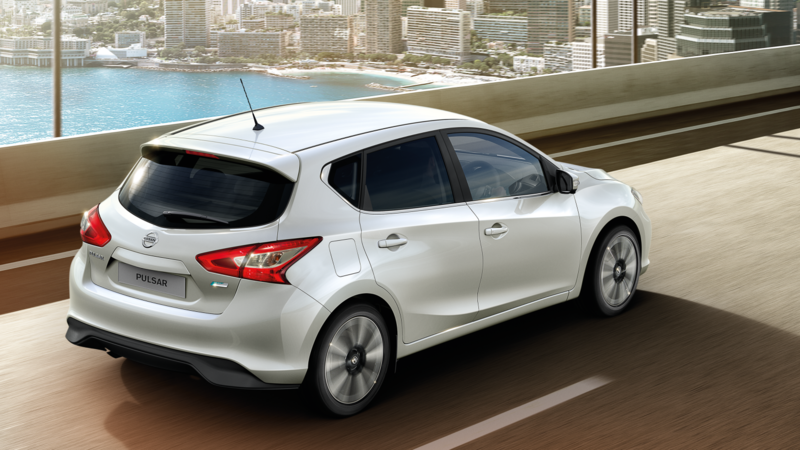 The Pulsar hatchback doesn't just stop with the basics. 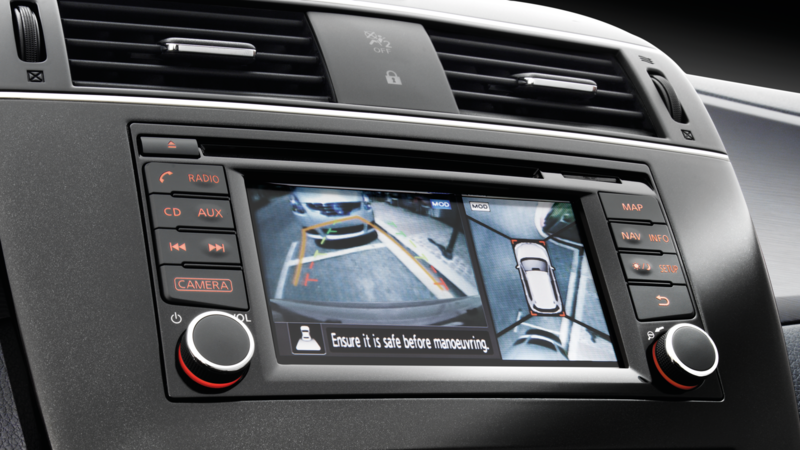 It comes with a host of features to make daily life effortless - you'll wonder how you ever coped without them. 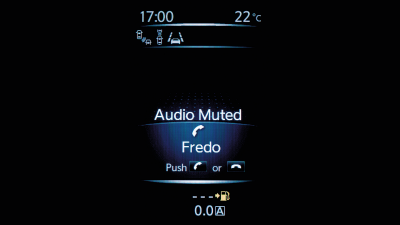 Both front occupants can set a different temperature for their side of the car. 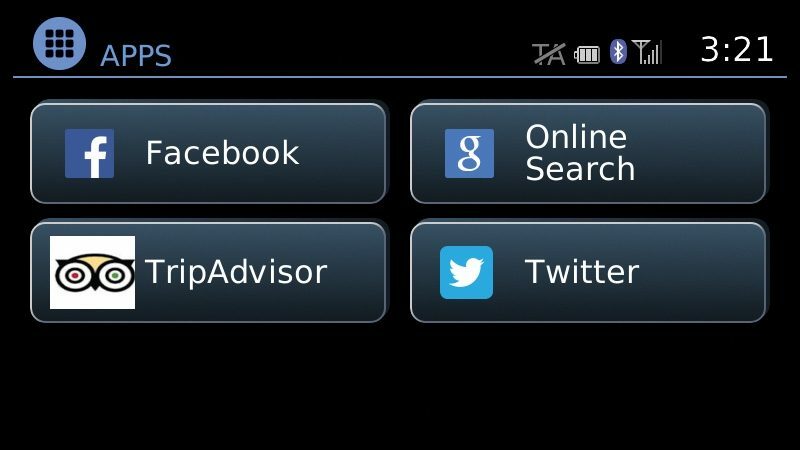 Each setting automatically adjusts to ambient changes to maintain a constant temperature, just the way you like it. 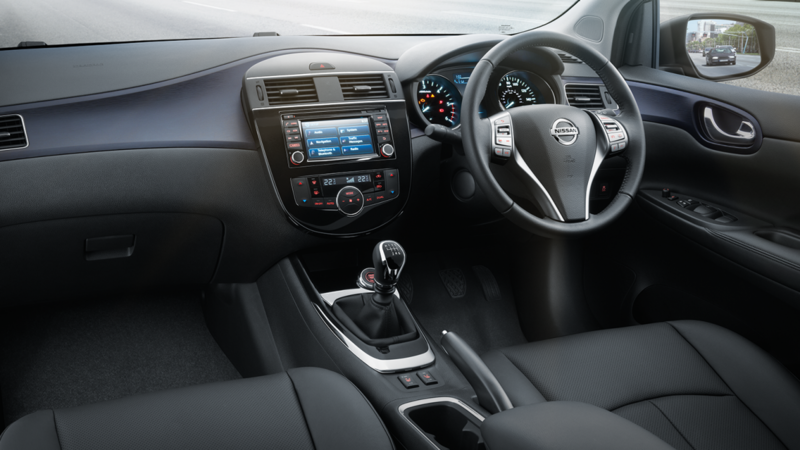 Set the cruise control with the steering wheel mounted controls and your Pulsar will maintain your speed for you during those long motorway drives. 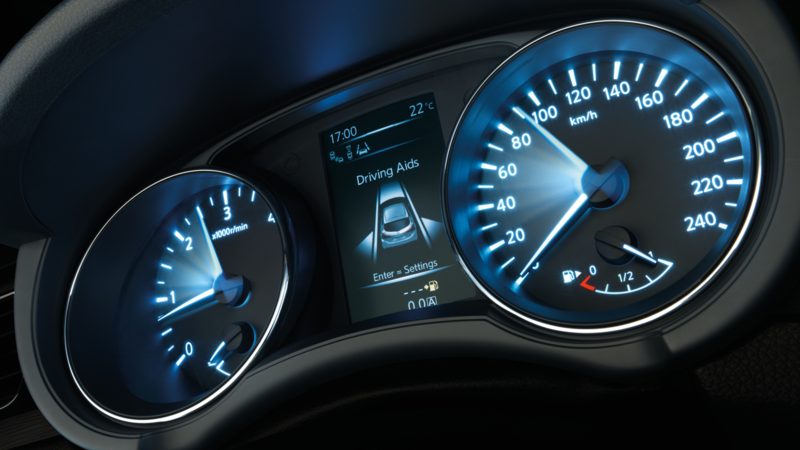 You can change the driving speed or set a speed limit all from one simple rocker switch. You’ll never have to rummage for your keys again. 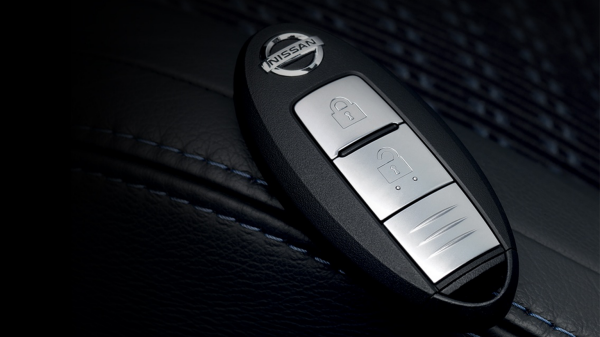 With the Nissan Intelligent Key in your pocket or your bag, you can unlock your Nissan Pulsar with a single press of the button on the door handle. Proximity sensors ensure it only works for the door you are stood next to. 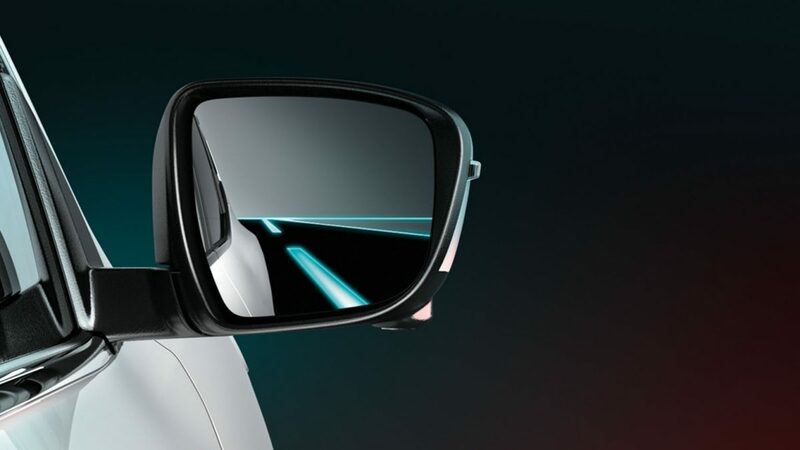 The Pulsar's automatically dimming rear view mirror makes night-time driving less stressful by reducing the distracting glare from following cars. 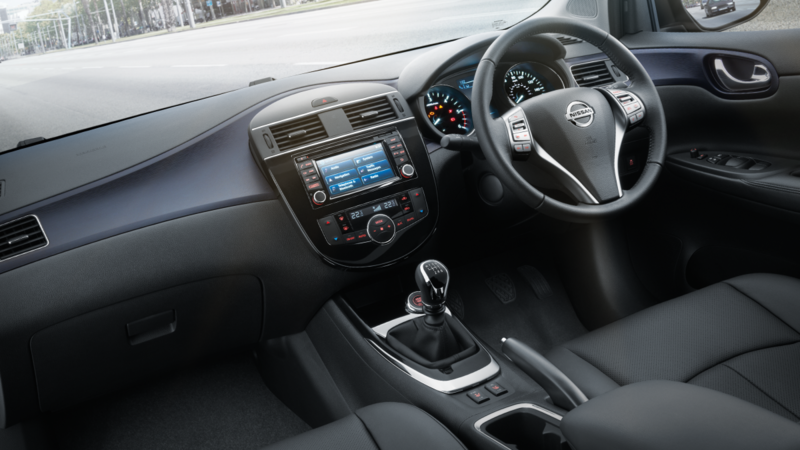 Combat cold mornings with the Nissan Pulsar’s heated front seats. 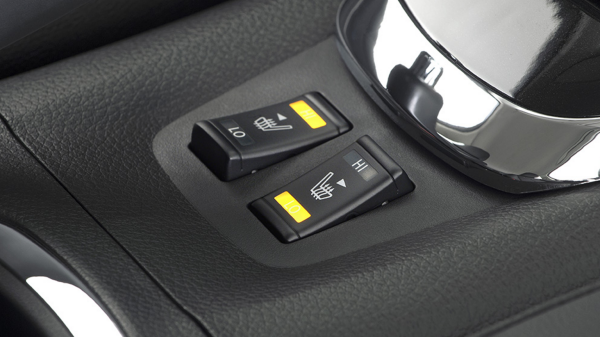 Each seat has its own switch to warm up the seat quickly to one of two temperature settings. 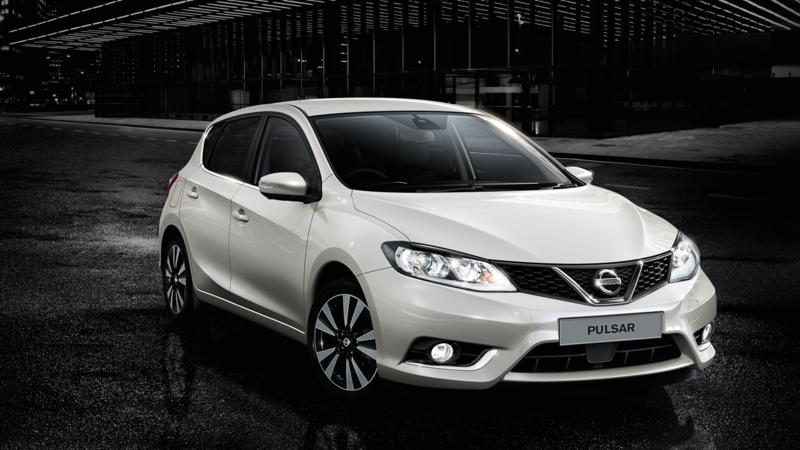 Step into your Nissan Pulsar and go. 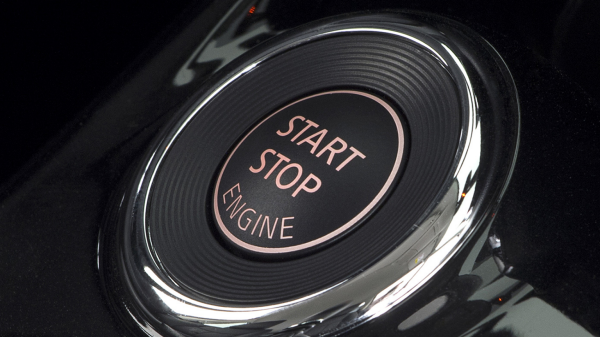 One push of the car's start push button and you'll be on your way. 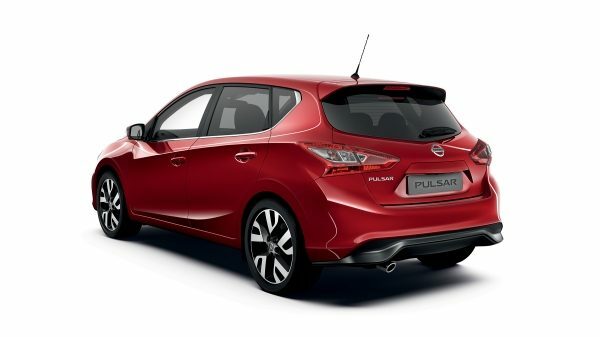 Your Nissan Pulsar can cope with all your needs, whether it's business or pleasure. 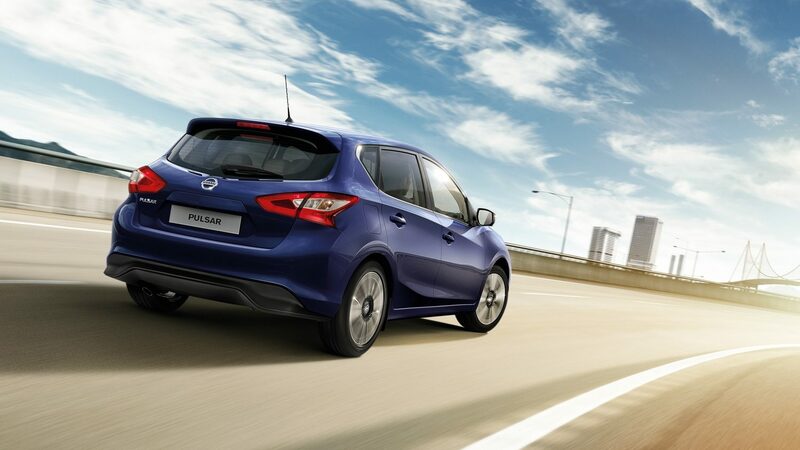 With both the rear seats up for normal everday use, the Nissan Pulsar has a 385 litre boot – offering more space than many family-sized fridge freezers. 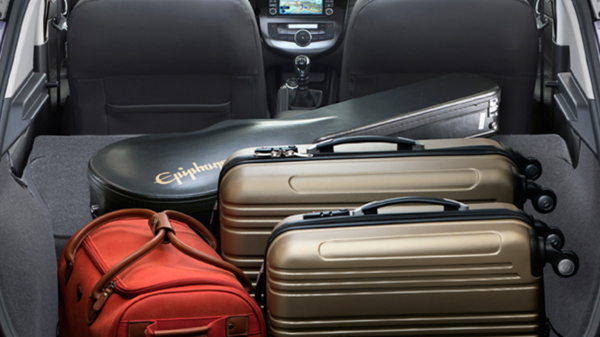 The car's low bumper height makes loading and unloading easy. 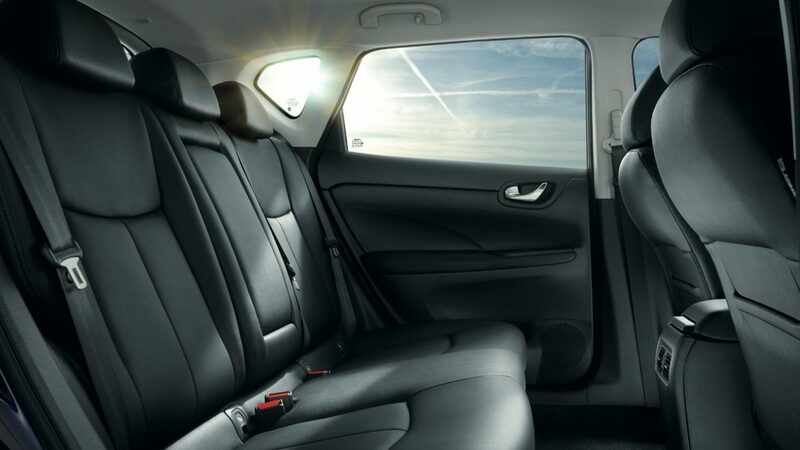 The Pulsar's versatile 60:40 split folding rear seats let you carry longer items and still have space for rear passengers. 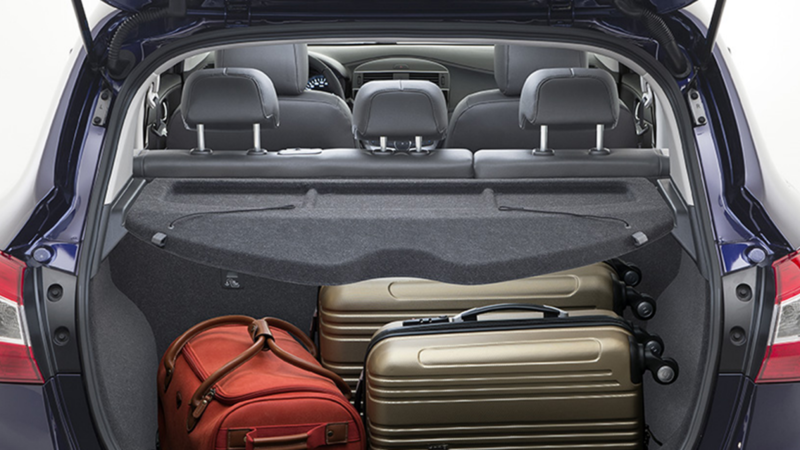 For transporting big loads, the Pulsar boasts a massive 1,395 litres of usable space with the rear seats folded down. 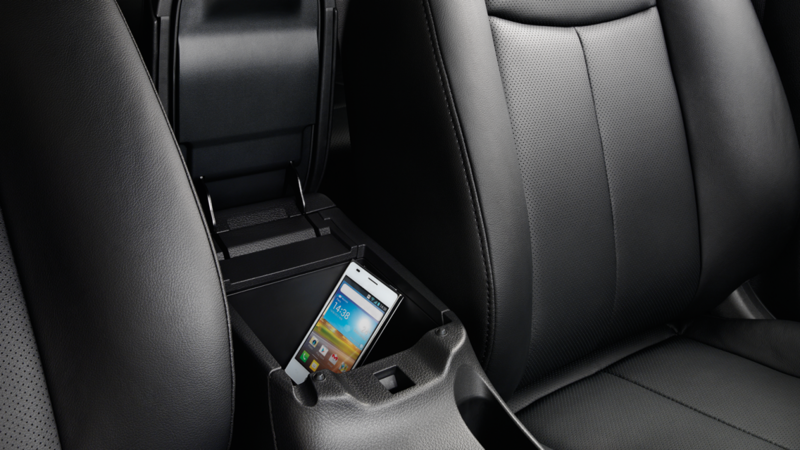 The centre console's folding armrest incorporates a storage compartment to conceal your valuables. 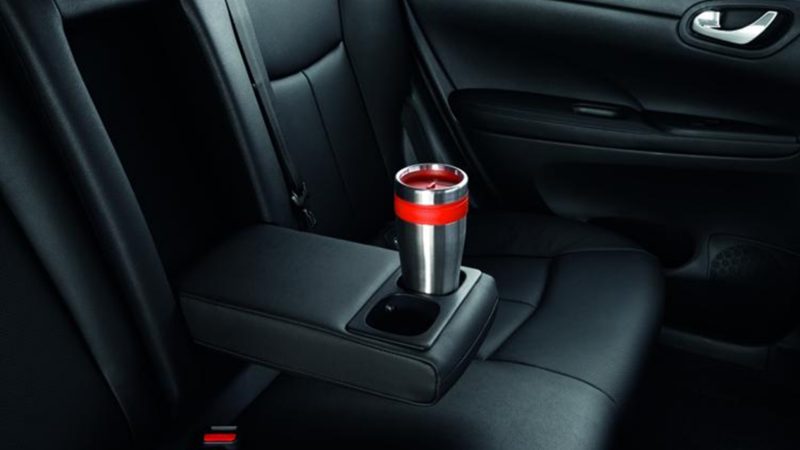 Multiple cupholders mean that your drink is never far from reach. 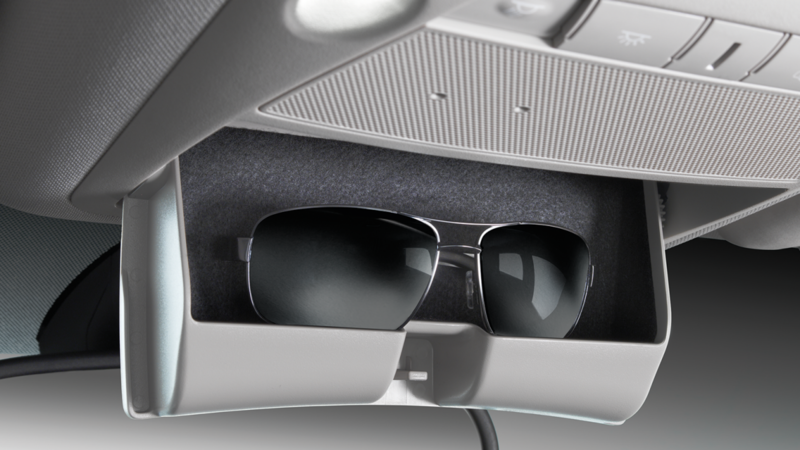 The handy storage bin in the roof keeps your sunglasses safe and within easy reach. 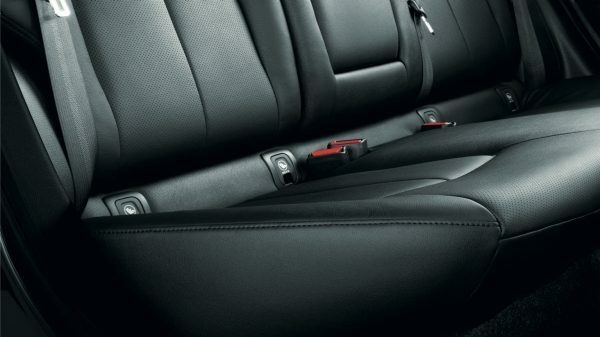 With a fold-down central armrest and two cupholders, comfort and convenience for rear passengers isn’t an afterthought. The glovebox is large enough to take a standard-sized tablet computer.